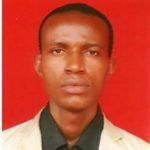 A Top Rated cryptocurrency writer and editor, Chikwendu specializes in creating unique, high quality, and well-researched content. Cryptocurrency is his passion and he's covered everything from buying Bitcoin to reviews of little-known ICOs. He does cryptocurrency/blockchain project whitepaper and content development, content development for ICOs, and copywriting / editing for anything related to the decentralization project.